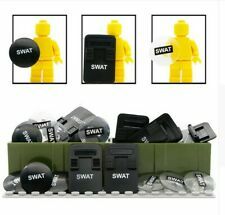 Custom Lego SWAT Officer Minifigure with Brickarms M4-Tac + more accessories! This page was last updated: Apr 24 06:50. Number of bids and bid amounts may be slightly out of date. See each listing for international postage options and costs.